As usual this year, I pieced together a big curated list of the best Black Friday Photography Deals. I was going through the various online stores looking for the bargains, I noticed that many of the items I use on a weekly basis for my own photography were on sale. I’m not sure if that’s bad luck for be because I already have them, and likely didn’t get a discount on them, or perhaps it’s good luck for you guys because it means there’s several sale items I can really confidently recommend. I had to start with this lens because it’s probably the lens I use the most! 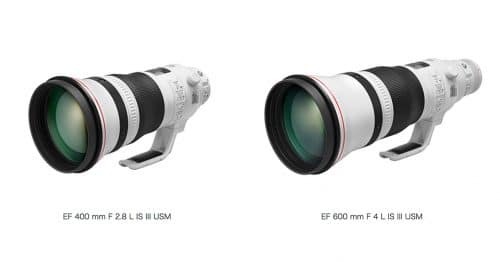 I love the versatility of the 100-400mm focal range and I regularly use it for both wildlife and landscape photography. In fact, I have previously written about how it’s one of my top 2 landscape lenses, despite being a long zoom! 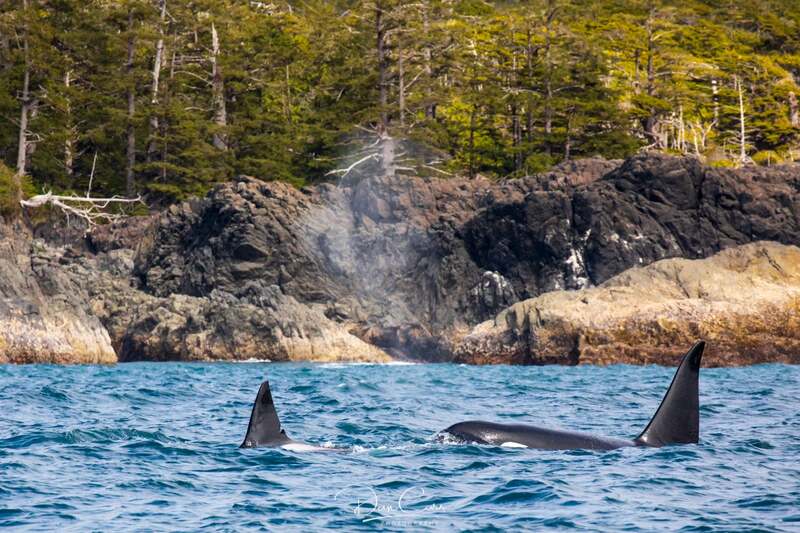 A pair of killer whales alongside our boat earlier this year. Shot with the 100-400. This lens is tack sharp across the full focal range too, which is somewhat rare for a zoom with such a wide range. With other cheaper options like the Tamron 150-600 there are certain areas of the range that I’d want to stay away from, and that complicates things in the moment. 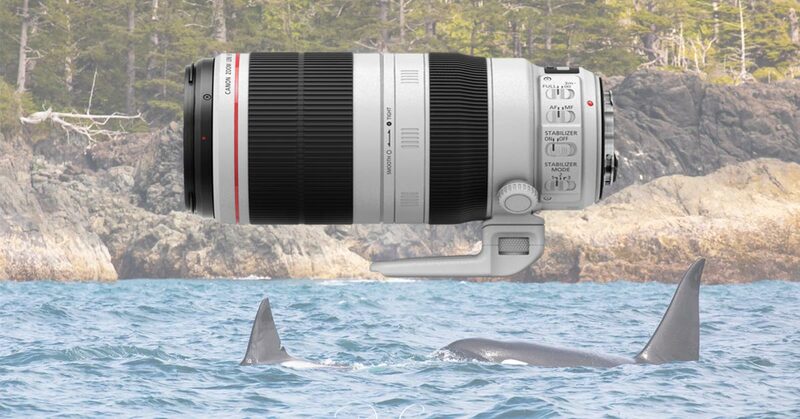 With the Canon 100-400mm II, just use it all! Heck, you can even throw the 1.4x III extender on it and get stunning results. 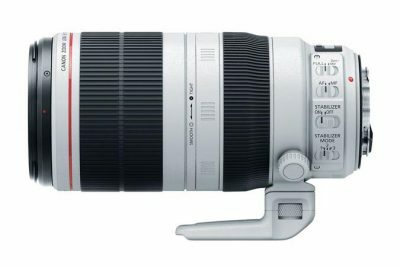 I’ve said before that with a 24-70 (also on sale for a $300 discount!) and the 100-400 I could 90% of my photography, and I stand by that. 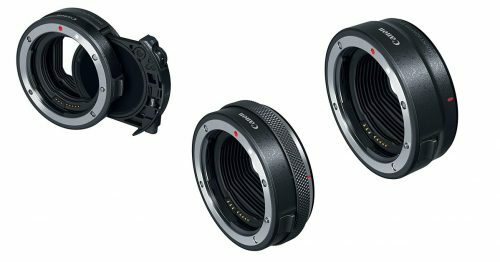 This is a superb lens, and the chance to save $400 should not be missed if you’ve had this one on your radar. I ramble on about these things all the time on my personal blog or in reviews and gear guides on this site. As a category of camera carry, the holster is nothing new, but what IS new with the MultiMount Holster is the variety of additional ways you can carry it, other than just hanging it on your shoulder. These things are designed to be clipped to the front or back of your backpack, they can be worn on a belt, slug over a shoulder or stuffed into a duffle or trekking pack. Love, love, love them! This week they start at just $53. At the moment Luminar is winning the race for best Lightroom alternative for many people, and that’s about to become even clearer when the asset management Library Module launches in mid-December. Luminar is just a really fun app to use, and I find that the array of cool filters usually sparks some creativity in my editing that doesn’t always come out from other applications. Anyone who purchases now will get a free upgrade to the new version in December when the Library Module is launched. You can also use the coupon SHUTTERMUSE10 to save an additional 10$ on the sale price! 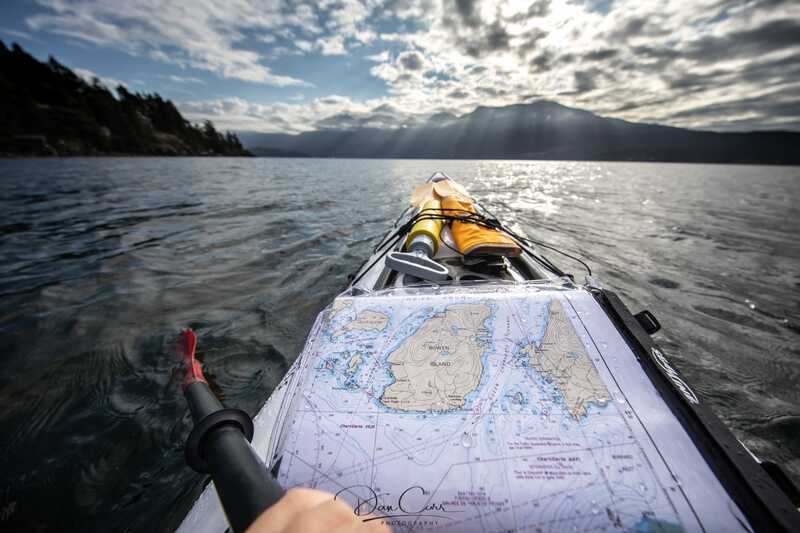 The wide field of view allows for so many creative opportunities! Alongside the 100-400mm lens, this is the second of my favourite landscape photography lenses! There’s simply nothing like an 11mm rectilinear view though a viewfinder. For those that think 11mm is pretty close to 16mm, think again! Compared to a 16-35mm lens, this produces an entirely different kind of image and it is optically incredible. Yes, an expensive lens, but $300 savings take the sting out of it a little! Sharing photos online through Facebook, Instagram and Twitter is an important part of the marketing that I do for my photography business. My past clients include brands like Apple, Nike, Red Bull and Canon, and I know with certainty that some of the work from brands like this has come directly from my online sharing efforts. I’ve always used an identifiable watermark on my photos so that if the EXIF data gets stripped from the file, which happens when you upload to most social platforms, people still know who took the photo. This can work purely from the basis of brand recognition and reinforcement, as well as more directly when someone wants to track you down to license the image. These days I use a custom hand-drawn signature watermark that was done for me by Photologo. It’s cheap, fast and simple, and right now they are doing a 25% discount which means it’s only $29 for you to get a greta looking watermark in just a couple of days. This camera strap sits in the middle of the Peak Design range, but I like it because it keeps the weight down and doesn’t take up much space in my bag. It’s really designed for mirrorless cameras, but if you’re looking to pack light for your adventures, this is more than capable of being used with a DSLR. 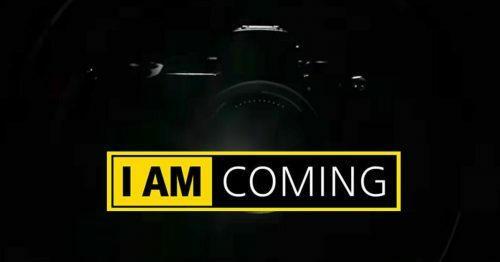 I needed a lightweight camera to take with me in my pack for capturing some remotely triggered photos of me at work using some photo equipment that hasn’t yet come to market (sorry, I know that’s a tease). I chose the little M50 because I could mount all my EF lenses onto it, and really, this thing just has the very capable sensor from the 80D inside it. It’s a great little performer, and in many respects it’s more desirable than the bulkier and more expensive (also older) EOS M5. Even when I think my bag is full, I can always manage to squeeze this in somewhere, and then I use the Bluetooth control from my phone to trigger photos with it as a remote camera. It’s also my go-to “at home’ camera when I’m just out about about with my family and don’t want to bring work (ie. big DSLRs) with me all the time. 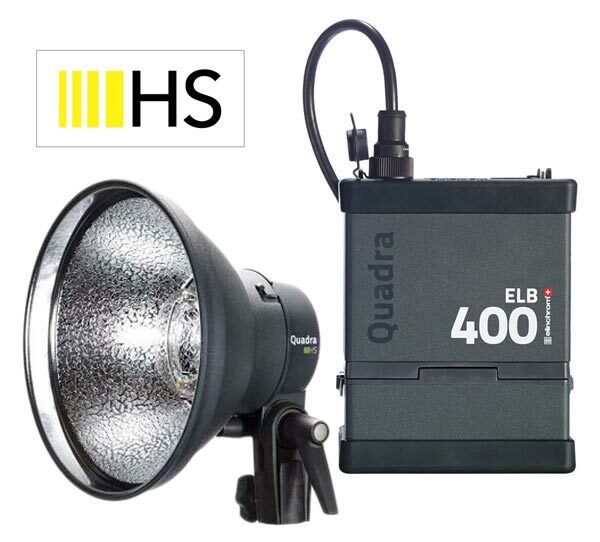 Whilst I love to make use of smaller strobes when I can, I always have a higher powered solution at the ready just in case I need to shoot portraits outside. The ELB400 packs plenty of power, and the Hi-Sync kit allows you to shoot at any shutter speed so that you can over power the sun. The whole kit is remarkably small and I can fit the pack, head and cable into my regular backpack alongside my camera and lenses! Don’t forget to check out the full list of Black Friday deals right here. Many of them extend into Cyber Monday and beyond, so it’s worth checking out even if it’s not Friday! I also want to give a shout out to the 5DayDeal which is back for a 72 hour flash sale until midnight on Sunday (EST). $2500 worth of products for just $89!